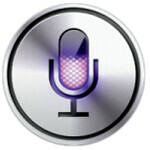 Did Apple mislead Apple iPhone 4S buyers into believing that Siri was a fully functioning personal assistant? That is the question that a court might have to answer as a Regina, Canada based law firm is attempting to put together a class action law suit that focuses on the voice activated Siri's "shortcomings". The law firm is looking for those who feel that the Cupertino based tech titan "knowingly took advantage" of buyers of the latest Apple iPhone. Catlin Hendriks is the one named plaintiff and she says that all of the signees to the suit have "substantial injury" due to Siri's lack of full functionality. A class action suit focused on Siri was certified in the States earlier this year, and a Canadian judge needs to approve the class action suit before the contestants head into a courtroom. The plaintiffs are asking for "...the difference in purchase price between the iPhone 4S and the iPhone 4 (without Siri), and damages for ‘loss of use, annoyance and inconvenience." "Siri either did not understand what the plaintiff was asking or, after a very long wait time, responded with the wrong answer. The plaintiff quickly recognized the futility of using Siri,"-excerpt from the lawsuit. The million dollar question (for the attorneys, anyway) is whether or not Apple made a smart move by promoting the "beta" status of Siri which might make it hard for a judge to agree that any harm has befallen the prospective class. As a beta product, the idea is that users cannot totally rely on the service. Besides, the info requested by iPhone 4S users for Siri could be found using an app or by browsing online. On the other hand, Siri was one of the main features that Apple advertised as a reason to buy its latest smartphone. Apple has yet to comment, but we can tell you that usually it is only the lawyers that profit from a class action suit as the plaintiffs share a token amount of money. I think it depends on how apple advertised it. If it was saying that it was not fully functional, or was still in the development phase, Apple will most likely win. But if it was just said that was in "Beta", that will depend on how wildspread is the term. It is possible that those who is not familiarized with the term can be misled. I think was is important here for everyone involed to understand is that anything Apple ever releases is always in a 'developmentAl phAse'; emphaSiS on mentAl. Personally, iAm moving to Canada just to join this suit because iAsked SiRi who was The Queen and after a loooooong pAuse she said, "Steve Jobs." And, I know that can't be right. I want my refund. Even then, They promote Siri as a full functioning voice assistant, everyone that I know who owns an iPhone 4S has not idea that Siri is a beta. This is absolutely stupid. I hope apple wipes this money grabbing law firm clean. I absolutely agree. I consider myself somewhat of an Apple hater, but this lawsuit is completely out of bounds. Thought I was the only one who would come on here and feel that way. Besides, what would stop class action suits from popping up all over the place based on disappointment in an electronic device if this goes through. Dangerous precedent to be setting. I agree the lawsuit is stupid and will probably get dismissed. But it almost makes me wonder if therei s a problem underneath that needs to be address. Apple advertises Siri as part of the iPhone...one of the most well known features of the phone in fact. The vast majority of people with iPhones believe it's a finished product...although some of them think it's defective. But to Apple, it's still a beta feature. How much does a company have to promote that a product is still in the testing phase if they release it as part of a finished product? How much can they advertise? Whose responsibility is it to inform the customer, Apple or the customer themselves? What level of usability does the product have to have to be both in beta and be advertised as a feature of the larger product? The reason I ask is because what stops a company from going further? I could technically release a phone and say it can record higher than 1080p...but it's still in beta so right now it only records in 2fps. That's not fair to the consumer. We saw something like this a few years ago when Sprint debuted the HTC Mogul and said it was their first EVDO-Rev A, but almost didn't release the update for the faster speed. I agree, these class action lawsuits are stupid. as far as your question, if i were a "company exec" and we were promoting such poorly working items like your 2fps camera, i would prepare for a backlash and a drop in sales. But Siri isnt that bad. Honestly,I think the most that needed to be done was to put "BETA" under the Siri logo, and have a pop up page the first time you use SIRI that tells you why its beta, and that you agree to it. Bam, no lawyer clause in the agreement. None of this would have happened. This is the dark side to having such a mega devoted fanbase. Any minor flaw and they come after you like you killed their children. Not because you hurt them, but because you hurt their belief in your perfection. People are weird. @ remixfa You're right. People are weird. I agree. This law suit is just plain stupid. Well for all the suing Apple has done lately. I hope this goes through, for the customers sake. This is a BS lawsuit! People knew what Siri was before purchasing the phone, and if you didn't you should have invested 2 minutes to do your homework before buying the phone. I don't think it matters whether the advertised as beta or not, no technology will be 100% perfect all the time. Not to mention it comes with a dual core processor and an 8 MP camera, so if you just bought the phone just to get Siri, and now your unhappy with your purchase...that's your own fault! When I owned the Droid X, I waited to see what the DX 2 looked like. When I saw it was basically the same phone with just a few spec bumps I passed on it, and that what these people should have done or returned within that trail period like every other person who made a bad cell phone choice does. not everyone is like us,who go on tech sites,read reviews,research before purchase etc...many of people who have got the iphone is because its an iphone and because of the ''cool'' ads...i have seen the ads here in uk and in everyone single one they promote siri as the main feature and advertise it as a complete product/feature that works perfectly when in reality it doesnt. in the ads it doesnt even specify that siri is in beta,if they had then no one would even have a case against apple..but the fact that apple mass advertised siri as a complete product,am not at all surprised to hear that people are vexed about this and feel they have been misled..here in the uk apple are being investigated by watchdog for the very same thing as apple in some ads advertise siris location features yet here in the uk you cant even use most of the location features advertised. Your right. WE and people like us who love tech are always in the know. But average consumers have got to stop being lazy, and if they don't they need to learn how to deal with the consequences of the actions or in this case inactions. And stop whining to the courts because they just had to have the new iPhone, Droid, WP7 or whatever. Im sorry but the idea that this feature was anything but beta from the start is ridiculous. Because of this, a lawsuit pertaining to significant harm or injury is just as ridiculous. This really is a waste of court's time. How were they harmed by them going into a store and buying it? How is Apple responsible for an uninformed customer? This is worse than patent trolls. Seriously. WTF???!!! You mean Siri doesnt work as easily,or as fast and effective as Apple protrays in tv ads???? Im Shocked!! Apple certainly doesnt mention Siri being beta anywhere in the ads,they make it seems revolutionary,that saying I think the court case is ridiculous and have no sympathy for the ifans as they bought the iphone stupidity thinking it changes everything again and want to sue apple now that it doesnt. Even the most ill informed of society these days should know that apple has a history of over exaggerating and misleading people with its products,its like the ifans that kept coming back into us complaining to us saying their iphone 4 kept dropping calls,the antenna gate was all overe prime time news channels,Steve jobs did a huge presentation about and yet these ifans say they never knew! While it doesn't say beta on the commercials, it does on the website, so there is a place where apple has been calling it "beta"
Hey, anyone notice anything ... STRANGE going on here? This Apple article is full of Android users coming to the defense of the company iPhone fans claim we are always bashing! Maybe us Android users arent as bad as many think we are. I agree the lack of trolling here is shocking. Taco??? That was almost... sorta... somewhat of a positive comment towards Android users! Well, its close enough for me. Good job dude! It's nice to see that Apple is being held accountable for their claims. This gives rise to the notion that their products are overrated. Let the lawsuits continue. I think the basis of this lawsuit depends on the seriousness of how Canada addresses marketing advertising. When I view the ads for the iPhone4s' Siri operation, I can easily become overly attracted to the "Flawless" power and diversity of the program. Yet, when utilized in reality, the "Flawless" attributes become less evident in the end user experience. Ignorance from consumers is no excuse in the court of law. However, a company exploiting a product above and beyond actual limits, can be percieved as false advertising. Something we in the U.S. have taken lightly. John B.